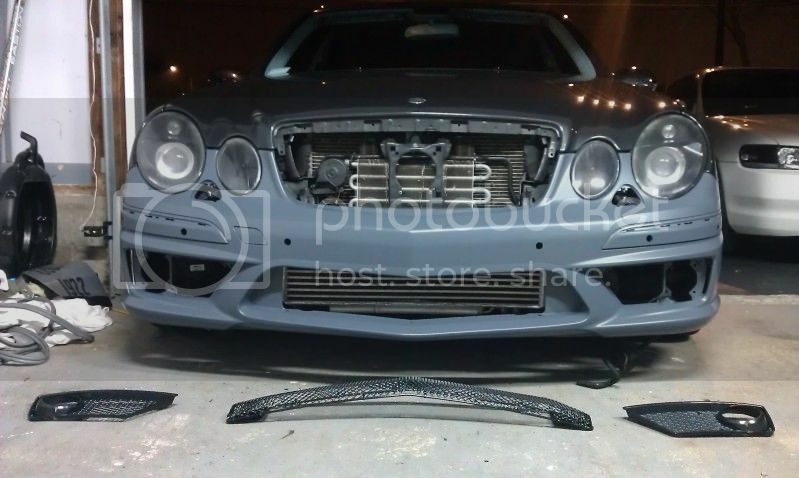 other member's Disclaimer: This is a COMPLETE list for doing the E63 front bumper conversion with the exception of the return springs for the washer nozzle covers and 4 plastic push pins for the inner plastic supports. These items are reusable from the old bumper assembly. Contrary to common belief, you do not need any other pieces outside of this list so do not even think about PMing with questions. 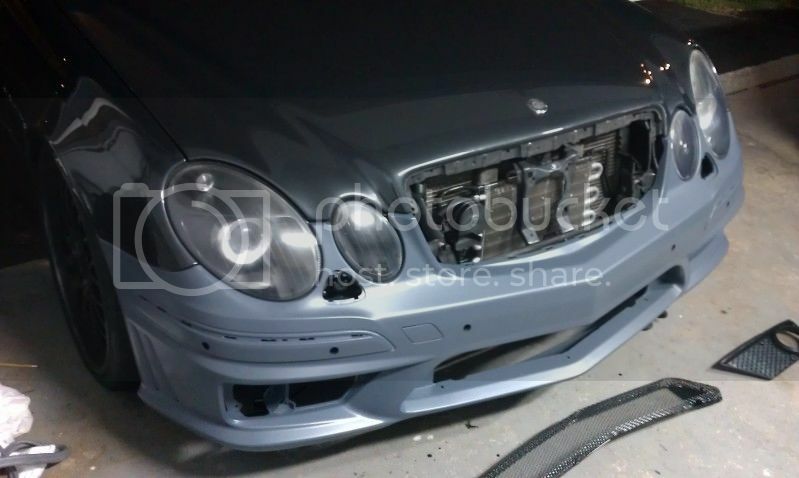 I do not know anything about retrofitting other E63 parts so please do not PM me about that either. I have provided a part number for both the Distronic and non Distronic equipped grills. 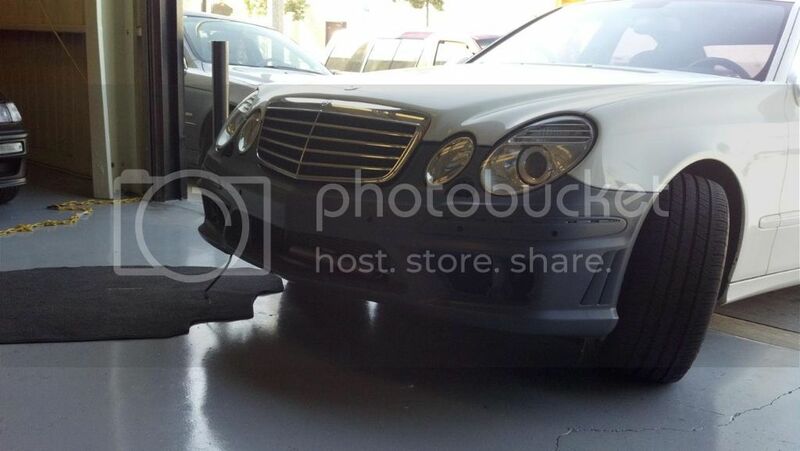 I have not provided a part number for a Parktronic bumper cover and do not recommend this conversion for Parktronic equipped cars as it involves extensive fabrication (BTDT). Please do not PM with any questions about doing a Parktronic conversion. 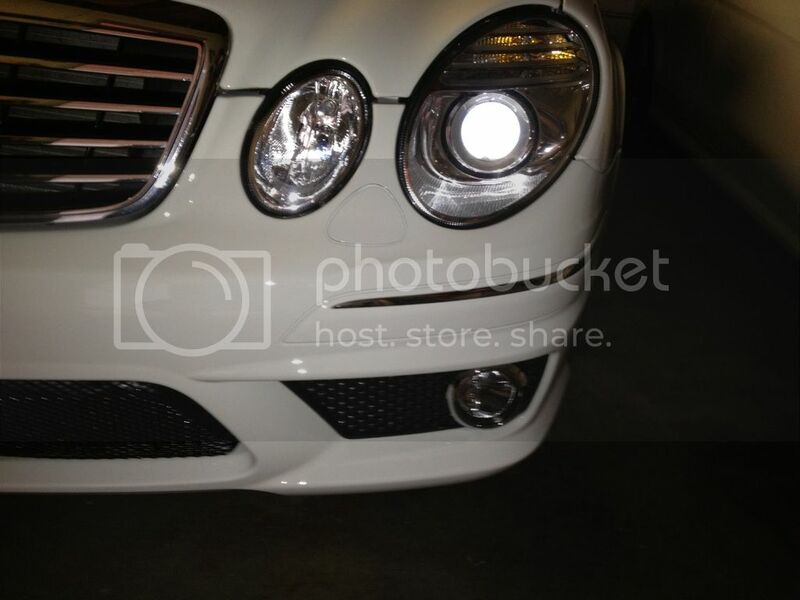 Contrary to comments otherwise, the E63 and E55 sensors are very different and will not interchange. 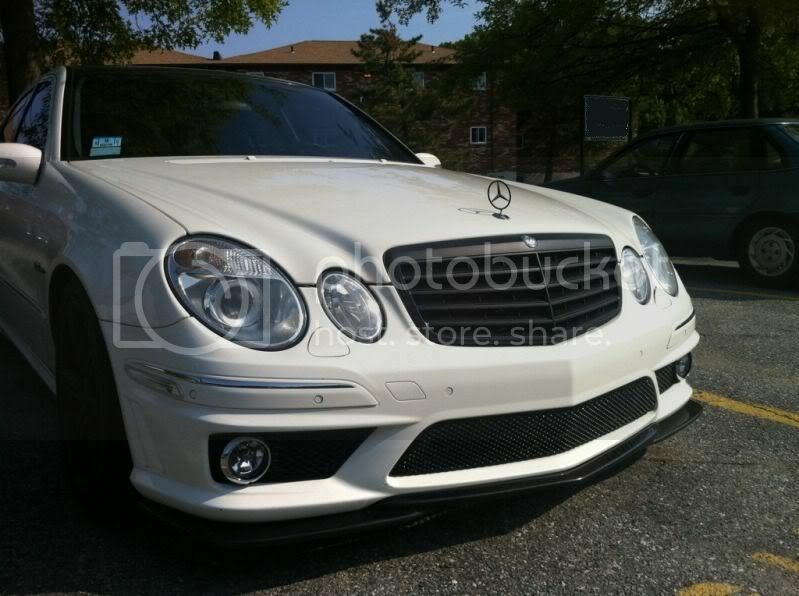 Gary, how much is the front bumper with the E63 CF lip shipped to the east coast? 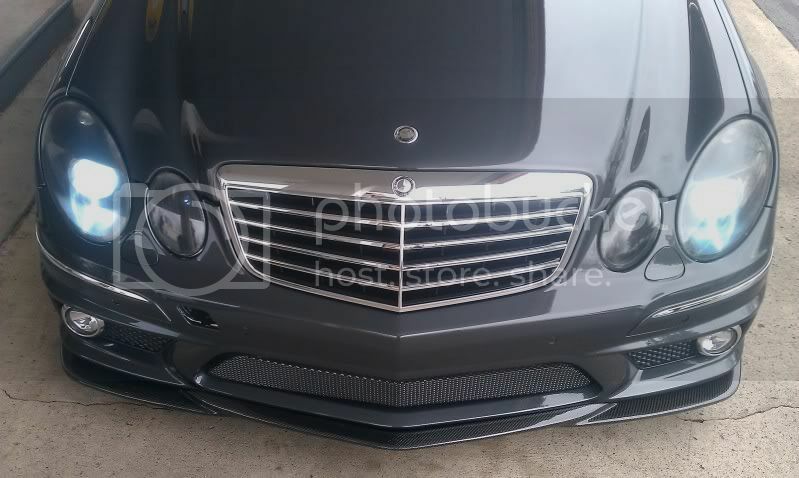 do you have any pics of the lip again? 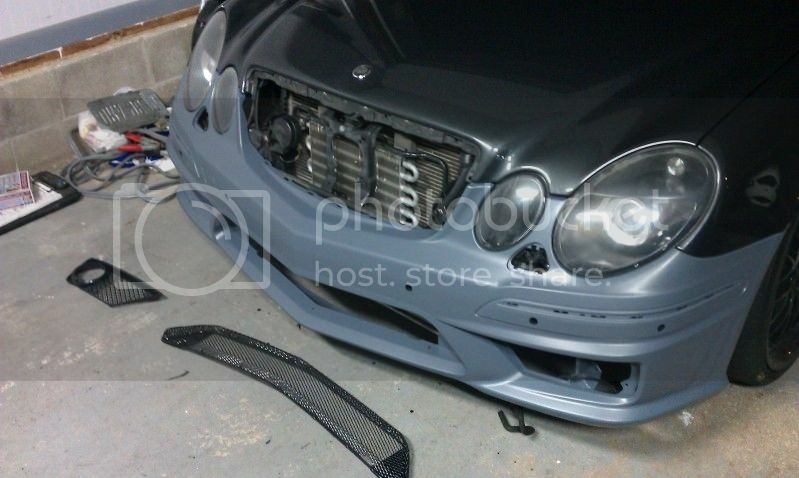 $540 + $180 for the lip. 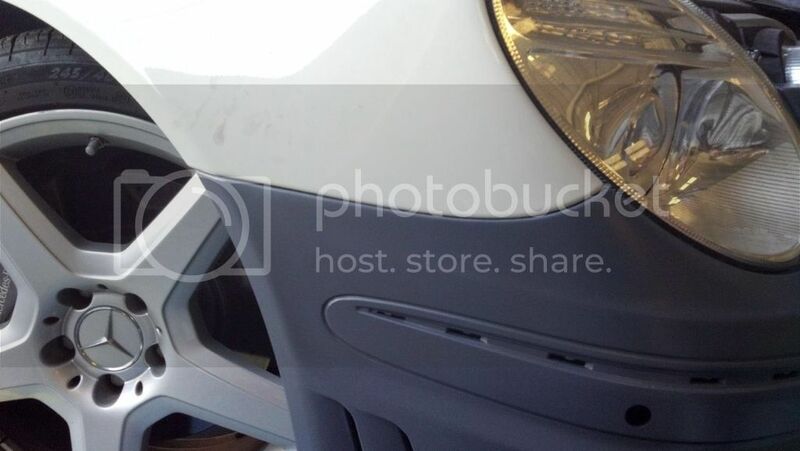 Last edited by [email protected]; 11-22-2011 at 01:35 PM. 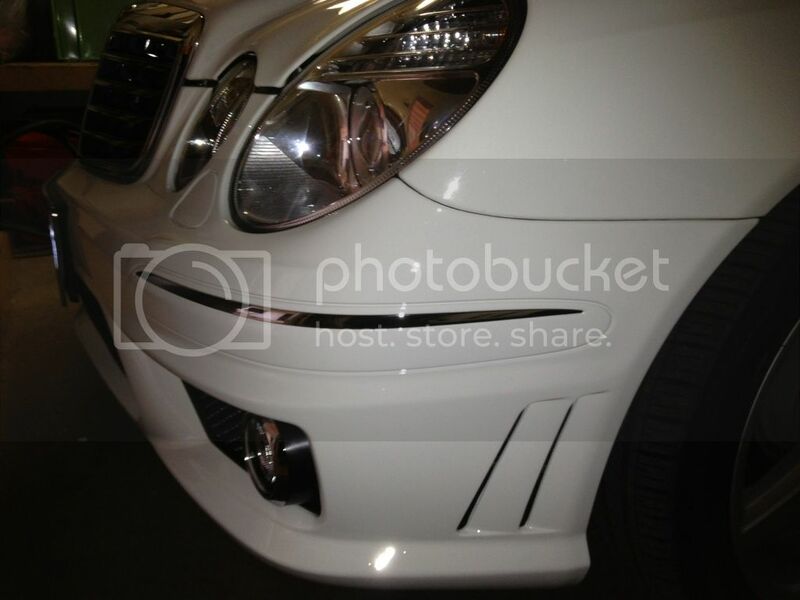 The fitment looks really good ! Gary, do u know where it was installed ? and refer in Rowland area ? Exactly my thoughts. That's one of the things I'm looking forward to getting rid of, well the holes at least. The plate came off last time I polished the car and hasn't gone back on. 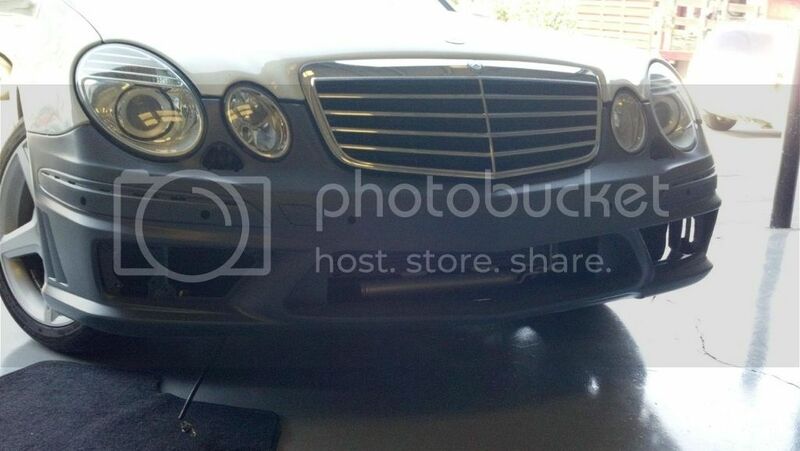 I think once the E63 bumper goes one the badges will come off too. That's okay guys. The car belongs to my friend and she is a good girl hehe. Haha my girl is responsible and wanted to be legal as well. I got my kit in Monday. Hoping to get in on by Jan 1. You're welcome to check it out whenever. I have to know, are all of the other parts needed to make this work or is this just a bolt on kit? Freaking fantastic!! 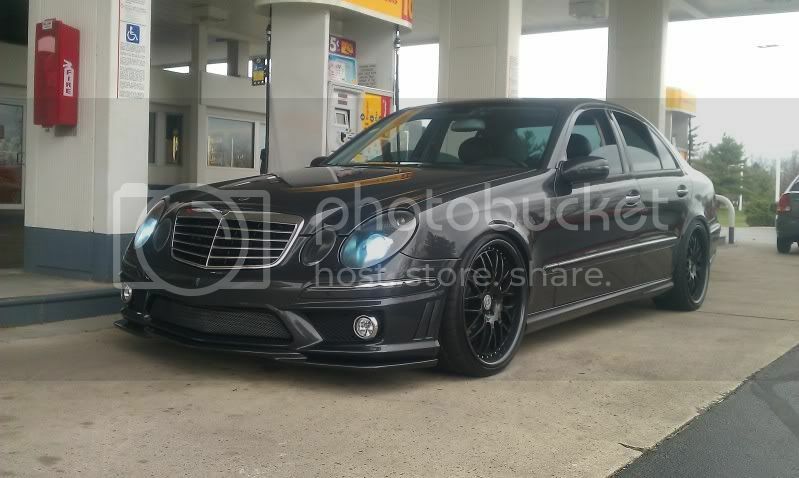 I want this sooo bad. P.S. Direct bolt on. No extra parts needed. 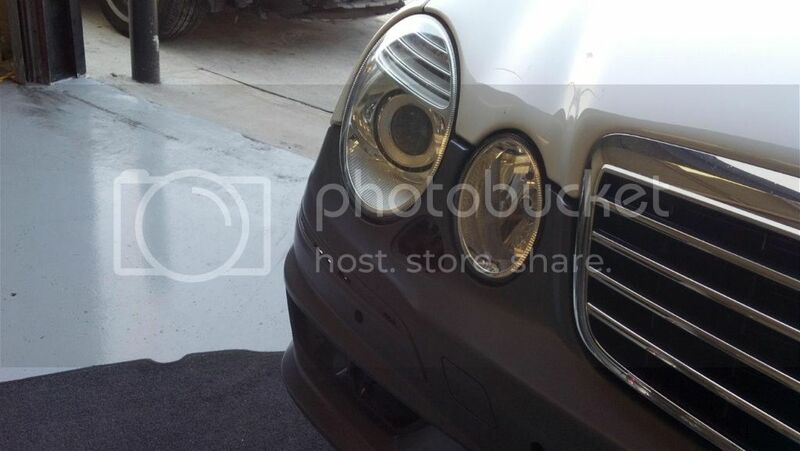 Can you sell lower grilles and fogs only? 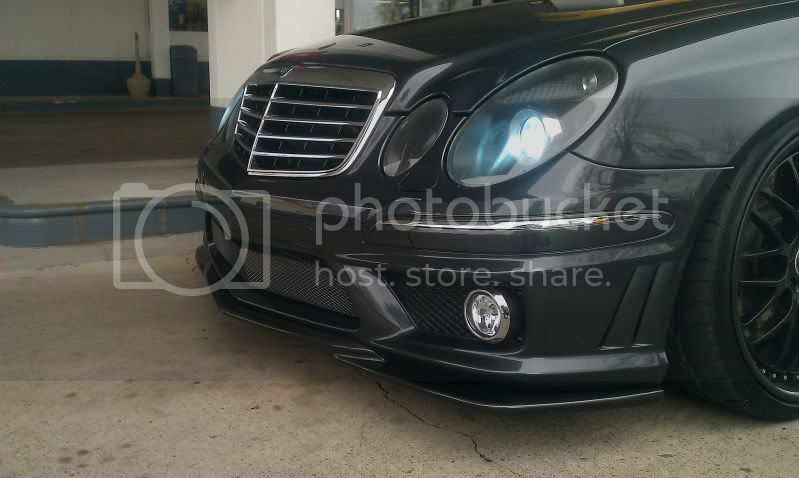 For the parktronic, Is there anything extra I need for moving over the parktronic from my E55 bumper to this new bumper? Guys all I have to say is this is my best mod. 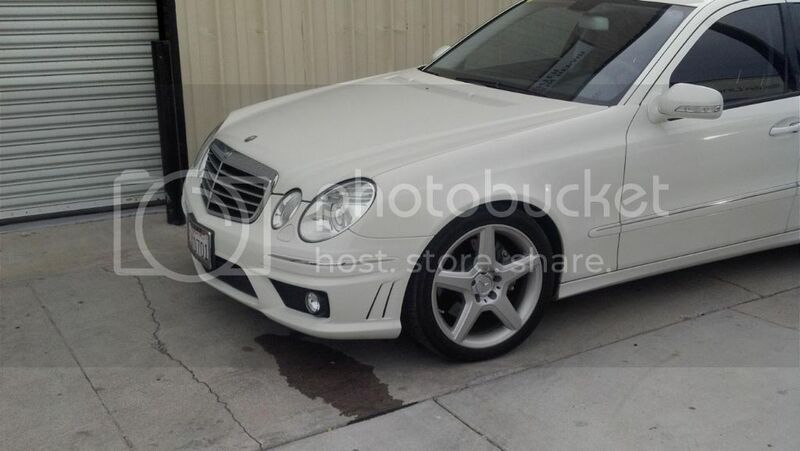 I love it, Complete change to the car Buy Garys kit you will not be dissapointed!!! Looks SUPERB! Great job on the upgrade. CF lip is sweet touch too!